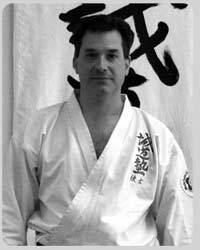 Sensei Todd began training in martial arts as a teenager and has been a student of Seido Karate at Dojo's in New Zealand, Australia and California as well as attending seminars and instruction by Kaicho Nakamura in New York. Beginning in Golden Bay and then Nelson, New Zealand Todd studied with Sensei Murray Creighton and Hanshi Andy Barber, during his years in Melbourne, Australia Todd studied with Sensei Matthew Layton and Kyoshi Alan Lambert and then moved to Los Angeles, California and trained with Jun Shihan John Greene and Jun Shihan Ted Pastrick before relocating to the East Bay area of San Francisco. Todd now trains under the direction and guidance of Jun Shihan Bobby Henderson and conducts classes in the East Bay area. Jun Shihan Bobby Henderson started his karate training under the tutelage of Kaicho Nakamura at the NYC Headquarters in 1986. 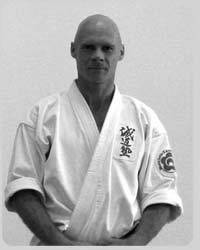 Sensei Henderson spent the next 10 years studying and teaching at the New York headquarters before moving to California. Jun Shihan Henderson holds a 6th degree black belt in Seido Karate and also has experience in Aikido, Kendo, as well as Iaido. He continues to teach most of the classes for NorCal Seido Karate.